Using video in your digital marketing strategy is an incredibly powerful way to increase brand awareness, educate your customers, and, of course, a great way to promote the continued growth of your business. Which probably explains why 87% of online marketers today love using video. So, are you using video in your business? If you are, then good for you! Except you might be experiencing one small problem. Actually creating videos that look clean and professional! If you're looking for an experienced and creative film editor to help you turn your generic video files into professional-looking marketing video content, I can help you. If you don't have any footage for me to work with and really need some professional videos created without breaking the bank, I can also help you out here. I have been creating and using videos in my own business now for the last 11 years. I live and work in the North Devon area (UK), so my videography services are always available to customers in and around Devon and Cornwall. That being said, I can also travel to London to provide my filming services. Here's how I can help you create amazing videos! 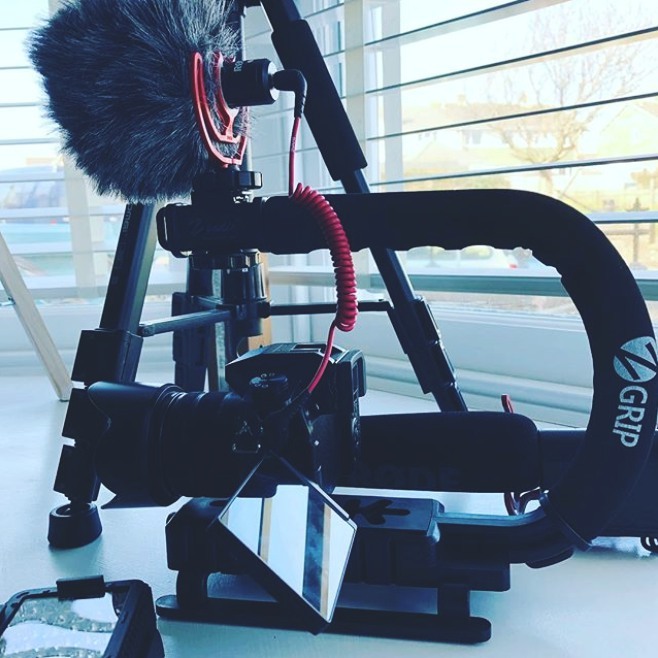 If you're planning on creating some powerful marketing or advertising videos for your business, whether it's a tour of your premises or an interview with your team members, or perhaps a video advertisement for your up and coming event, or anything else, we can arrange for a suitable date and time for me to come and capture footage for your project. The quality of the capture really depends on your individual needs and budget, however, I can capture video in 1920 x 1080p at 25 or 50fps, or I can record in 4K at 24fps quality. I also believe that audio quality is just as important as video quality, therefore I can ensure your videos are recorded with the highest quality, uncompressed, audio setting. This is important if you plan to speak over the video footage. If you have footage of your own that you would like me to review and edit, all you have to do is send me your raw video files in MP4 or MOV format, along with your storyboard ideas for turning your raw files into polished up videos. I'll do all the creative stuff for you and even send you some samples of the mock videos so that you can make suggestions for tweaking and modifying them. If your video files are lacking vibrancy and tone, no need to worry. I can professionally color grade, as well as use some suitable filtering to make your video content looks great. Additionally, there's nothing worse than having poor audio quality in your video, as long as your audio is reasonably good, I can help enhance it further. Need a profession 10-second intro and outro for your marketing videos? Or perhaps you need a nice intro for your vlogs! Well, I can create these completely from scratch and even incorporate your brand colors, logo and marketing message too. Check out my short video intro for my blog over at Magnet4Blogging and YouTube videos below for some inspiration. You can send me your storyboard for me to work with, or you can simply let me know where you would like titles and annotations to be placed in your video. Do you have your own music* to include in your videos? Or even if you don't, just let me know what kind of music you'd like included and I'll send you links to some samples you might like to use. *All the music that I use in my video projects is licensed for personal and commercial use. Adding effects to your videos, whether it's for your business or Vlog Channel on YouTube, can help make your videos stand out in a professional form. However, you really don't need to overdo it! You can share your ideas for the desired effects and graphics you would like and let me do the rest. I can make the main scenes and b-rolls in your videos flow seamlessly together with subtle transitions and fadeouts. Whichever works best for you, if you need your videos urgently, I can arrange for your files to be transferred via DropBox or TransferNew. Or, if you require your videos to be shipped to you, I can send it securely on an SD Card via tracked mail. So, what kind of videos can I help you create? Here are some of the types of marketing videos I can help create and edit for you. Type of video required? * YouTube Channel trailer videoVideo/Vlog intros and outrosVlog episode editing and exportingMarketing videos for your productsMarketing videos for your servicesCompany tour videoInterview videoProduct insight/tour videoOnline advertising videoSocial media videoBehind the scenes videoTutorial/Explanation videos (Editing only)Online video course (Editing only)Infographic based videosSales and promo videosAnnouncement videosPortfolio videoPersonal profile videoOther (Please use field below). I require a different kind of video service.